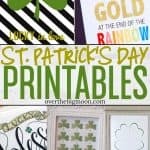 These St. Patrick’s Day Printables are a simple and easy way to decorate for St.Patrick’s Day! I’ve rounded up Shamrock. Lucky, Rainbows and more! Just print and frame! 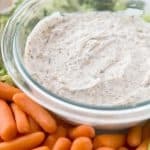 This is the BEST Vegetable Dip out there – the flavor is perfection! Serve with some fresh, crisp vegetables as a side or an appetizer! This Sweet Potato Casserole is my families favorite side to serve with our Thanksgiving or Christmas Dinner! 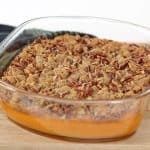 The brown sugar and pecan crumble that tops the sweet potato is most everyones favorite part! 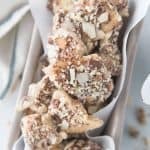 This Delicious Coconut Toffee and Almond Roca Recipe that is easy to make and does not require a candy thermometer! Perfect for a neighbor gift at Christmas! This Easy Pumpkin Dump Cake is the perfect Fall treat! 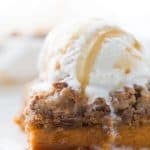 The flavor and texture is perfection and my kids can’t get enough of this Gooey Pumpkin Cake! It’s quickly turned into a family favorite! 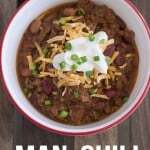 This award winning Three Meat Chili will leave your belly’s full and happy! A fun non-candy Easter Egg filler. These Easter Egg Privilege Cards are the perfect filler for kids — Get Out of Eating Veggies, Stay up 15 Minutes Past Bedtime, 1 Extra Piece of Dessert and more! 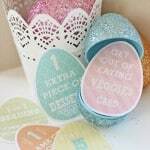 Kids of all ages will love these Easter Egg Printable Filler! 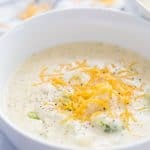 I know that is a big claim, BUT this really is the BEST Broccoli Cheese Soup! My kids – even the picky one – loves this soup! It’s creamy with chunks of vegetables that help create texture!! 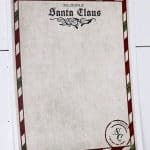 A printable North Pole Letterhead for you to print and have a Letter from Santa come to your little ones during the Holidays or in their stocking on Christmas morning! Available in two different versions. This fun tradition is sure to help your family remember the true meaning of Christmas! 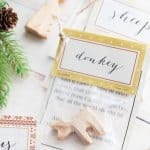 These 12 Days of Christmas Nativity Countdown Printables are free and make it easy for you to start this fun activity.